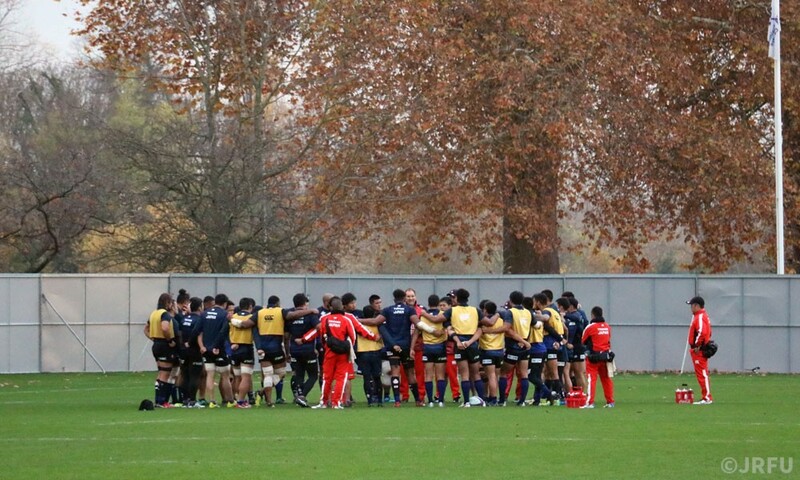 LONDON (Nov. 16) – Japan coach Jamie Joseph has named his 23-man squad to take on England on Saturday at Twickenham. Michael Leitch will lead a side that shows six changes and three positional switches from the side that lost 69-31 to New Zealand two weeks ago in Tokyo. “We have some injuries back at home, which hasn’t helped but I am confident in terms of how we have prepared this week,” Joseph said of the team selected. Koo Ji Won comes in at tighthead prop and packs down alongside Atsushi Sakate and Keita Inagaki in the front row, while Uwe Helu is promoted from the bench and pairs up with Wimpie van der Walt in the second row. In the back row, Leitch will wear the No. 6 jersey, Masakatsu Nishikawa has been brought in to play openside flanker and Kazuki Himeno shifts across to No. 8. In the backs, Fumiaki Tanaka returns to win his 69th cap and will partner Yu Tamura at halfback. Ryoto Nakamura is promoted from the bench and will partner Timothy Lafaele in the centres, the latter moving from 12 to 13. Akihito Yamada is also recalled to add his experience on the right wing with Kenki Fukuoka keeping his spot on the left wing and William Tupou moving from outside centre to fullback. Joseph has opted for a 6-2 split on the bench with Yusuke Niwai, Asaeli Ai Valu and Koki Yamamoto providing the front-row cover. Samuela Anise is the back-up lock with Hendrik Tui and Shunsuke Nunomaki the two other reserve forwards. The two backs on the bench are Yutaka Nagare and Rikiya Matsuda. “The fact England are targeting us physically is no secret,” Joseph said.